*(Free for Kindle Unlimited) Essential Oils: and Their Relevance to the Bible (Deal, Not Free) by Esther Lehman. Price: $2.99. Genre: Non Fiction Deal, Sponsor, Lessons from Trees and their Purpose, Essential Oils, Alternative Medicine. Rated: 4.4 stars on 3 Reviews. 404 pages. ASIN: B07G6BKHQ3. Get the paperback version at $68 here, please. *The Complete Aromatherapy Guidebook: A Comprehensive Reference of the Holistic Natural Healing Powers of Essential Oils for the Mind, Body, Spirit…and Comfort Zones (Use of essential oils Book 1) by Lorraine McCormick. Price: Free. Genre: Health, Fitness & Dieting, Alternative Medicine, Aromatherapy, Herbal Remedies. Rated: 4.9 stars on 18 Reviews. 247 pages. ASIN: B07JMLTY2X. Posted on November 15, 2018 November 15, 2018 Author KibetCategories Aromatherapy, Essential Oils, Fitness & Dieting, health, medicineLeave a comment on Kindle Herbal Deals for Wednesday! 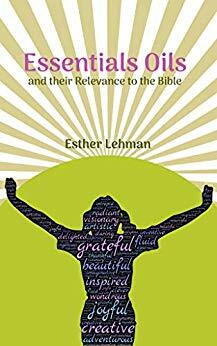 *(Free for Kindle Unlimited) Essential Oils: and Their Relevance to the Bible (Deal, Not Free) by Esther Lehman. Price: $2.99. Genre: Non Fiction Deal, Sponsor, Alternative Medicine, Aromatherapy, Guide to Essential Oils, 105 Trees and Plants. Rated: 4.4 stars on 3 Reviews. 404 pages. ASIN: B07G6BKHQ3. Get the paperback version at $68 here, please. *Alternative Medicine Bible: 2 Manuscripts – Herbal Apothecary, Herbal Medicine Guide for Beginners by DB Publishing. Price: Free. Genre: Health, Fitness & Dieting, Alternative Medicine, Herbal Remedies. Rated: 5 stars on 4 Reviews. 89 pages. ASIN: B07K2FMJKW. Posted on November 8, 2018 Author KibetCategories Essential Oils, Fitness & Dieting, Free Kindle Herbal Remedies, healthLeave a comment on Kindle Herbal Deals for Wednesday! *(Free for Kindle Unlimited) Essential Oils: and Their Relevance to the Bible (Deal, Not Free) by Esther Lehman. Price: $2.99. Genre: Non Fiction and Alternative Health Deal, Sponsor, Essential Oils Guide, Ancient Remedies from the Bible. Rated: 4.4 stars on 3 Reviews. 404 pages. ASIN: B07G6BKHQ3. Get the paperback version at $68 here, please. Posted on November 7, 2018 Author KibetCategories Essential Oils, healthLeave a comment on Kindle Herbal Deals for Tuesday!